Pomegranate oil has been featured in several articles on the website. Pomegranate oil is pressed from the seeds nestled within the red pulp of the fruit. Each pomegranate fruit can have as much as 1, 400 seeds. It is rich in essential fatty acids and is the only source of punicic acid, a very powerful antioxidant. This pomegranate dessert is simple, festive and fits any occasion but does well as a holiday dessert. The previous articles deal with using pomegranate oil for hair but this article will discuss consuming it as well. You can’t have too many ways of getting the nutrients from seeds into your body. Pomegranate seeds look like tiny red rubies and is a slightly tangy sweet tasting nectar. There are no side effects to eating the seeds and they taste delicious. 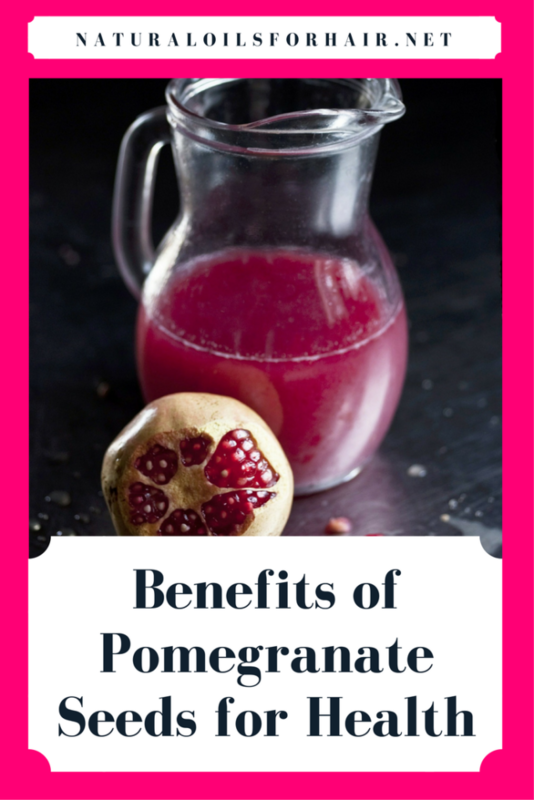 What are the Benefits of Pomegranate Seeds? Pomegranate seeds are rich in rich in vitamin C, containing over 45% of the recommended daily vitamin intake. Pomegranate seeds have a low-calorie count of only 234 calories in a whole pomegranate. The high antioxidant content helps the body fight off free radicals and inflammation. Pomegranate seeds can help fight several fungal infections common in women. Another seed that can help with this is cranberry seeds. The recipe I’m sharing today is courtesy of Tip Hero. 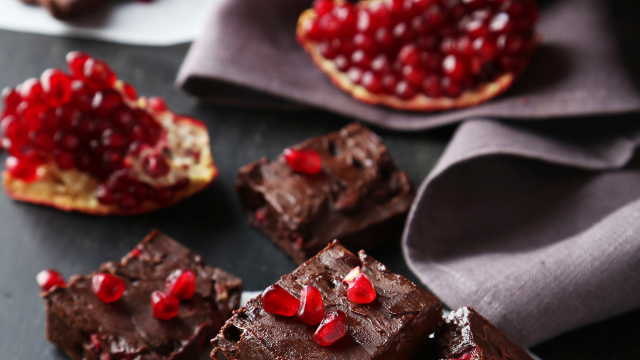 They combine two of my favourite things – chocolate and pomegranate in the video below for a great tasting desert. The recipe requires only 4 ingredients and no cooking time. The recipe also shows you how to get the pomegranate seeds out, which can be a tad challenging. The only thing I would do is substitute milk chocolate for dark chocolate so there are even more antioxidants included in the recipe. Sprinkle generously over salads. I love them in my Asian inspired rice noodle salad. Sprinkle over hummus before refrigerating. If you like bulgur wheat or quinoa, you can add the seed before serving. Personally, I feel they taste better on cold dishes. 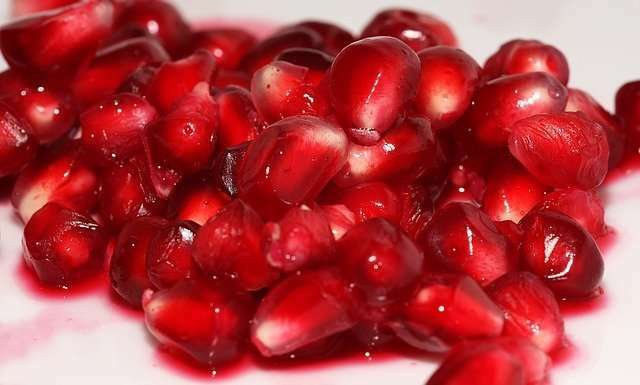 Do you include pomegranate seeds in your diet? If so, in what ways do you do so? Share in the comments section.